Arrange the Shiitake Mushrooms and Saut?ed Bok Choy around the Kampachi. Preheat outdoor grill to medium heat and oil the grates using a brush or paper towel. In a small bowl, mix the chili powder, salt, and pepper together. Coat the yellowtail fillets with a light layer of olive oil and sprinkle with the chili mixture. Place each fillet flesh side down on a hot grill and cook for about 3 minutes. Flip fillets over and cook for an additional 3 minutes. Remove from grill and top with mango salsa. To make mango salsa, combine all ingredients together in a medium bowl and stir well. Keep refrigerated until ready to use. Preheat the oven to 400 degrees Fahrenheit. Season the yellowtail with salt and pepper, to taste. Preheat a nonstick, ovenproof skillet, coated with the olive oil. Add the yellowtail, flesh side down, and cook until brown, about 2 or 3 minutes. Turn the fish over and put the skillet into the oven for 5 minutes. Remove the skillet from the oven and transfer the fish to a warm platter. Pour any excess oil from the pan. Add the green onions, tomato, citrus zest and ginger and saut?, over low heat, for 1 to 2 minutes. Add the wine and deglaze the skillet. Reduce the liquid by half, and then add the heavy cream. Reduce until lightly thickened. Whisk in the butter, lime juice and parsley. Season, to taste, with salt and pepper. Spoon the sauce over the fish and serve. The Hamachi loin, also known as the Yellowtail or Amberjack, is a large fish which can be found in the Pacific, the Sea of Cortez and the Indian Ocean. This type of fish is found all throughout the year. They weigh about 10 to 20 lbs. and are usually caught with the traditional hook and line. In addition, in Japan the adult fish are called Buri, as the younger fish are known as Hamachi. The Hamachi loin or Yellowtail and the Yellowtail Jack all originate from the tuna family. They are easily identified by a yellow stripe across their body and their yellow tail. Due to its richness in fat content, it has a white skin color. It is well known to be the best fish eaten raw and is widely used in sushi restaurants. The Hamachi loin is a great delicacy and the taste of this tender meat is a delightful treat. It can be used for grilling. The following recipes can be made using the frozen Hamachi loin, considered to be the Yellowtail. This frozen Hamachi loin can be bought online from Anderson Seafoods. It costs $49.95. Each Yellowtails Hamachi Loin comes in standard pack containing one 26 ounce loin, which is 1.6 lb. 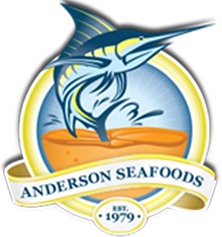 Anderson Seafoods sells quality fresh and frozen seafood to all the valued clients around the globe. Make Anderson Seafoods your first choice in getting the healthiest and the most delicious meat to your specification. You will get great value for every dollar spent on seafood from Anderson Seafoods. Visit them online today!